Ptn 2 Farm Boschfontein, Maanhaarand. NATURE AT ITS MOST SPECTACULAR! 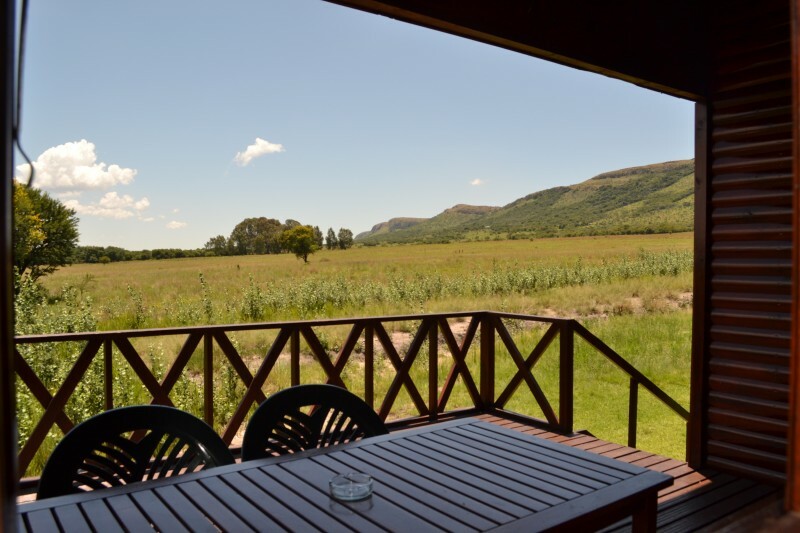 Intaba Thulile offers a getaway where you can relax and get in touch with nature. 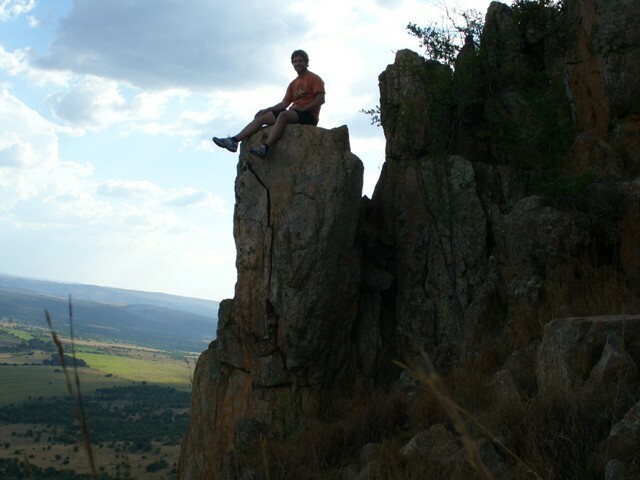 Intaba Thulile, “peaceful mountain”, is a 450 hectare private game and cattle farm within the Magaliesburg Nature Conservancy. 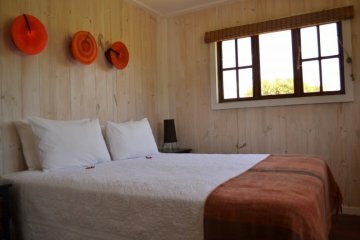 With its abundant birdlife, and variety of trees, ferns, flowers and grasses, it is a nature lover’s paradise. 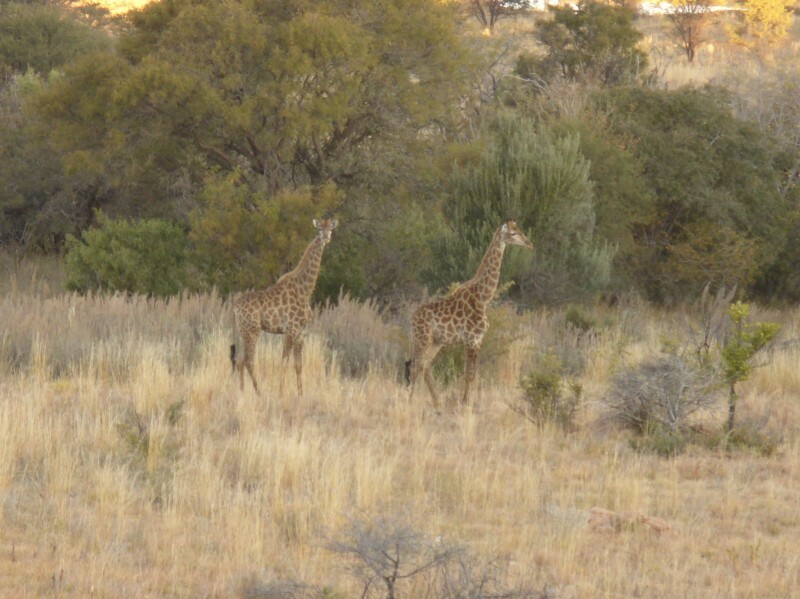 Game viewers will not be disappointed, as the farm is home to a variety of buck, as well as zebra, warthog, jackal, ostriches, and a family gorgeous, graceful giraffe. 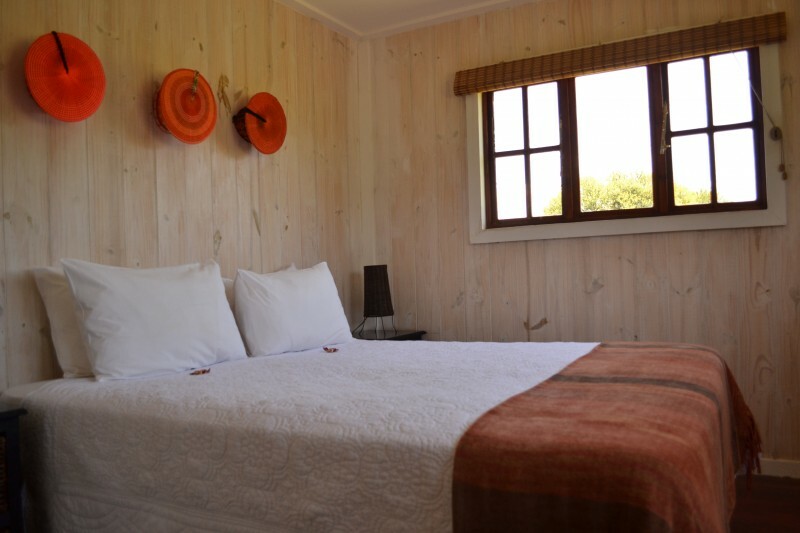 Six well equipped self catering chalets sleep 4 people each in 2 separate bedrooms, To enjoy outdoor living at its best, each chalet has its own patio and braai area. Larger groups may prefer to use the larger braai area at the lapa. 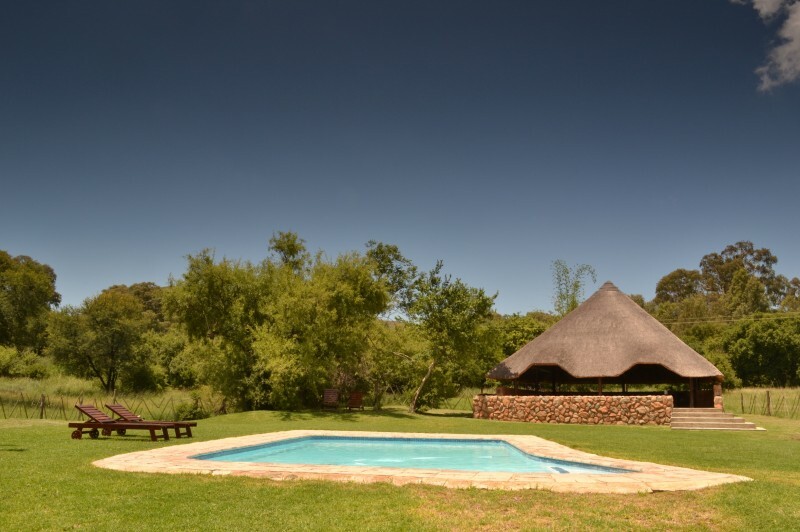 Swim in the cool blue pool, hike, cycle or simply relax and enjoy the sounds of the bush and the magnificent mountain views.